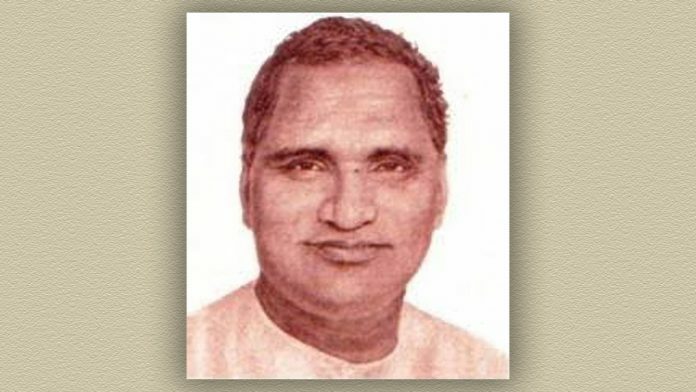 Politician and social worker Hiralal Shastri, the first chief minister of Rajasthan, was a proponent of equal rights for members within the Constituent Assembly. As part of a significant debate that discussed the extent of the participation of representatives of the princely states in voting matters, Shastri was of the view that since members of the assembly had been chosen irrespective of their caste and creed, they should all be given equal rights when it comes to participation in the assembly. Born to a peasant family in Jobner town of Jaipur district on 24 November, 1899, Shastri completed his graduation from Maharaja College securing first position in 1921. In the same year, he joined the State Service and soon became the secretary in the Home and Foreign Departments. However, he resigned in 1927 due to his inclination towards social welfare. In 1929, he chose a village 72 km from Jaipur and founded Jeevan Kutir, where he trained a group of social workers and also attempted to bring change in the economic and social structure of the village. It is believed that these trainees later fought for India’s freedom. In 1937, Shastri got involved in politics when he reorganised Jaipur Rajya Praja Mandal (originally started in 1931). He became the president of the Praja Mandal, a freedom movement in the 1920s by the people residing in the princely states against the feudatory rulers as well as the British government. He was jailed for six months in 1939 for carrying out Praja Mandal’s Satyagraha to attain civil liberties. In 1947, Shastri was appointed the general secretary of All India States Peoples Conference, a common platform for all the political movements in the princely states. After Rajasthan was established as a state on 30 March, 1949, Shastri became its first chief minister. He resigned on 5 January, 1951, but came back to politics in 1957 becoming a member of the second Lok Sabha. On 29 August, 1947, Shastri, as a representative of Jaipur state, in the Constitution debate session, pushed for everyone to have a say in the Constitution. “It is our misfortune that our rights have not been fully recognized, but if we are here by right, then no matter whether they be Rulers or Princes, or Heirs-apparent, whether they are nominated (by these rulers) or self-nominated or whether they are Prime Ministers, they are all equal. They are, in no way backward, but are progressive, and they also include men of action. All have come here without any distinction of caste or creed and their rights should be equal,” said Shastri. In 1935, Shastri and his wife Ratan established an all-women’s higher education institute in Banasthali in the Tonk district of Rajasthan, in memory of their daughter Shantabai, who died at the age of 12. The institution, which came to be known as Banasthali Vidyapith, played a vital role in the life of Shastri and his wife. The institution supports thousands of women in the country to fulfill their dreams. Known as a hardworking, selfless social worker and a fearless man, who always sought to support women in education, Shastri contributed not only to Rajasthan politics but also to the society. Shastri died on 28 December, 1974.